What I must do, is have it transferred to CD and MP3 format too, because I am certain that mine is one of the last copies of the record in existence. I couldn't bear for it to be lost for posterity. Years ago I transferred it to audio cassette tape and that still plays well but it's not a permanent solution. A couple of years ago I purchased one of those USB turntables that one can use to transfer vinyl LPs to one's hard-drive. But, I could never get it to work satisfactorily. 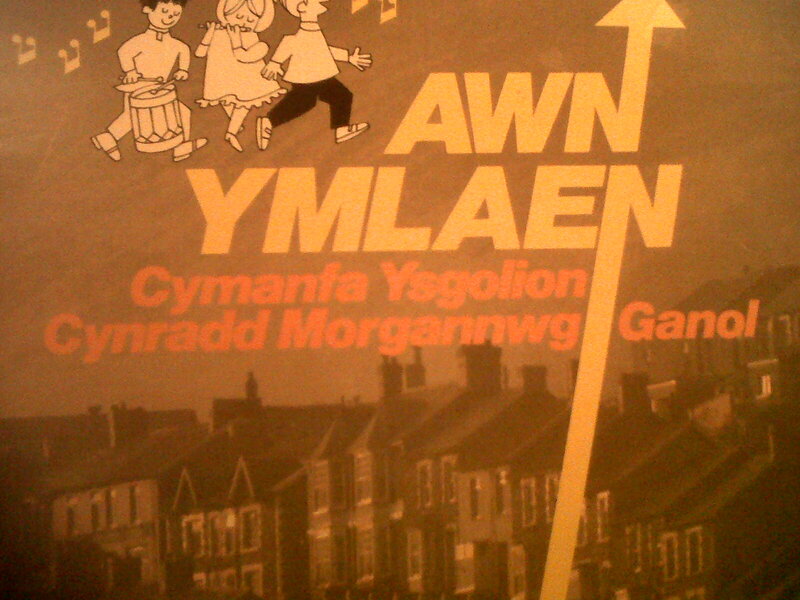 I think the title, Awn Ymlaen, means "Let's go forward." Sung by, I think, a "Gathering of combined primary schools from Mid-Glamorgan." 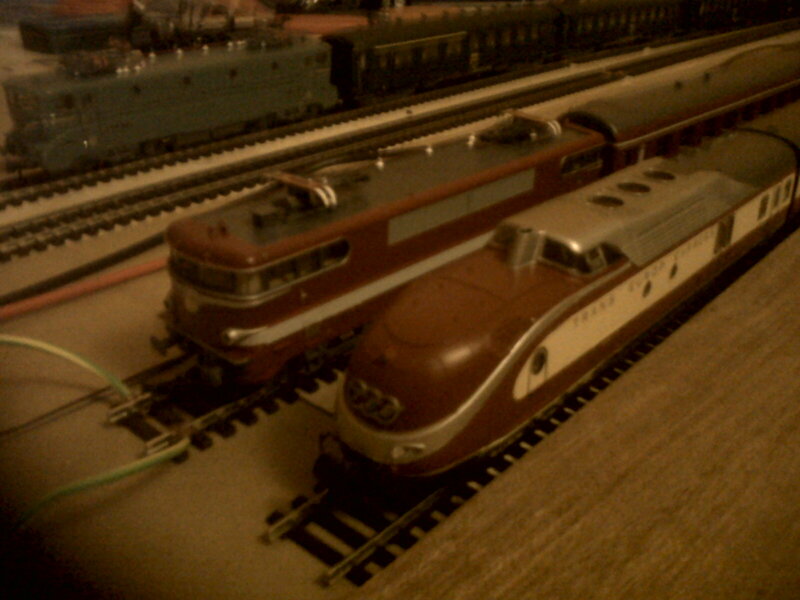 Set out Le Capitole and the Trans Europ Express to test for clearance and platform length issues. 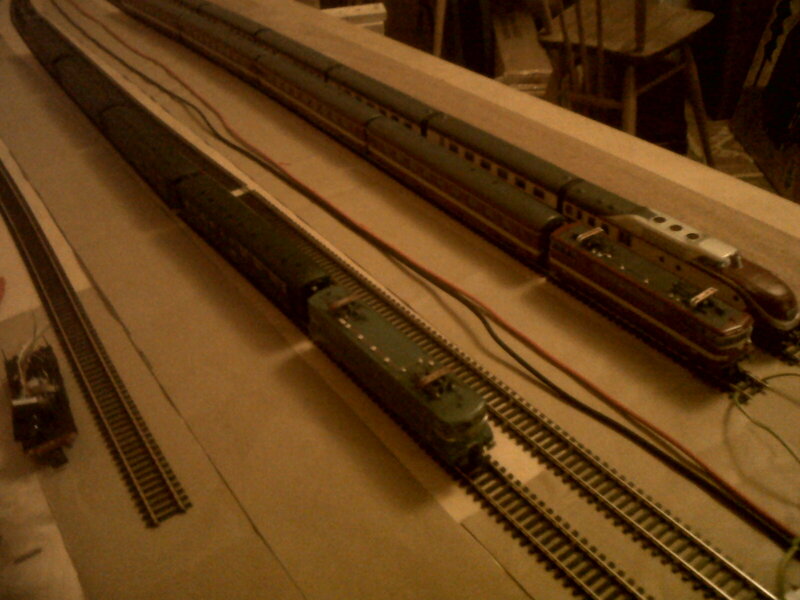 There don't seem to be any for now but perhaps there will be later on in the project when two trains are crossing adjacent points. I was one of the children who performed on the album all those years ago! I attended Ysgol Gynradd Gymraeg Pontsionnorton in Pontypridd. Mixing the grape with the grain. Defraying some costs - at last. Should one join a club? 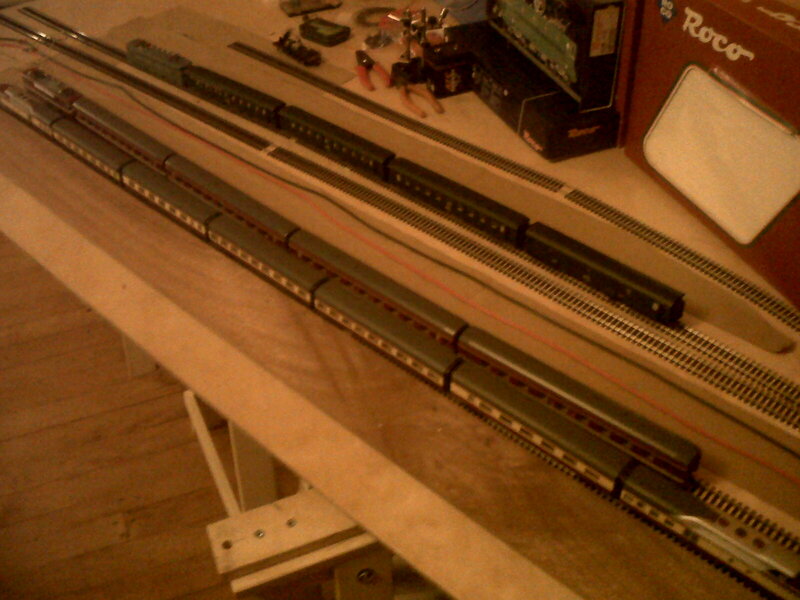 Gare du Nord - draft 1. More frustration over DCC wiring.